Invacare Universal Standard Sling Polyester - Small Supports the whole body; including the shoulders. This sling should only be used for those who have good head control. 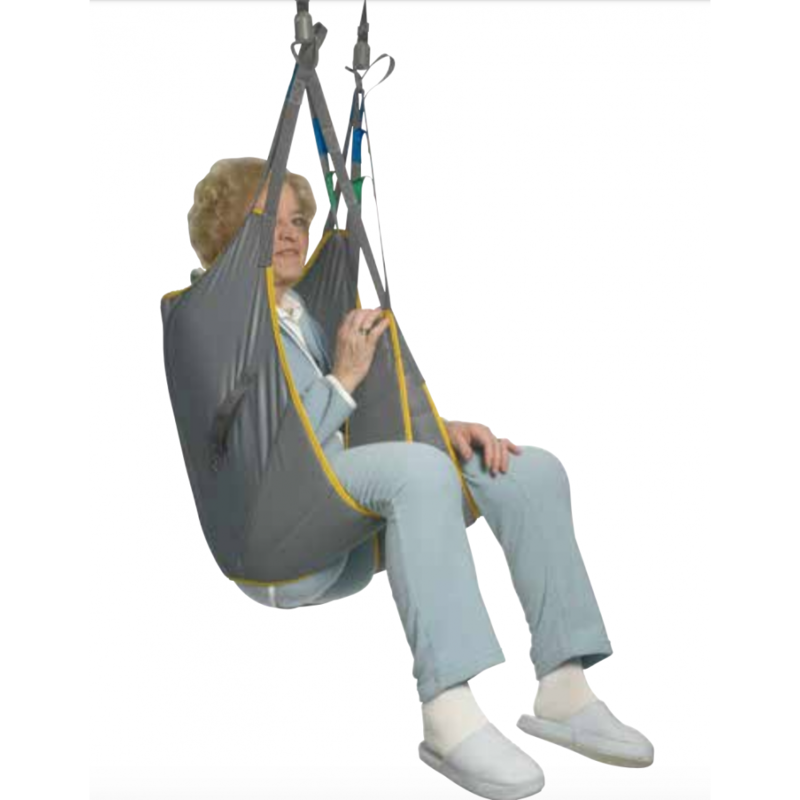 The Universal Standard sling is often preferred as an all-round sling for the elderly, as it supports the entire body and gives the client a feeling of comfort as well as an unobstructed view. This sling can be used for seated to seated transfers and is easy to apply. This model also has a stiffened fabric in the back section, to ensure optimal weight distribution and comfort for the client. Universal Standard Sling - NetInvacare Universal Standard Sling Polyester - Small Supports the whole..
Universal Standard Sling - SpacerInvacare Universal Standard Sling Polyester - Small Supports the wh..